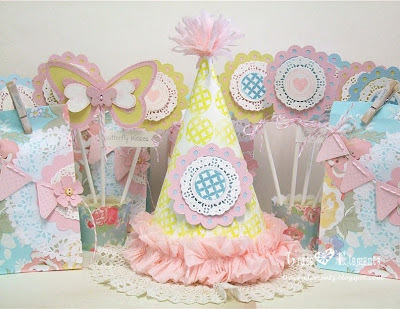 Hey There.........its Paper Sweeties first Birthday, we are celebrating with a three day long designer blog hop. Paper Sweeties has the cutest stamps.......sentiments,the sweetest images....you can even play Paper Doll dress ups - clothes for all occasions. 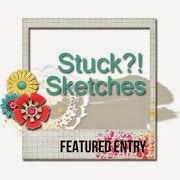 You should be coming here from Lori Ulrich...but if you didn't and want to start at the beginning there is a list of all the designers below this post. As you all might know I like using my cricut......I have combined it with Paper Sweeties stamps. "Fun Shapes" stamp. I used 'Art Philosophy' for the scallop circle shape layering it with a tiny doily then a another Fun shape. 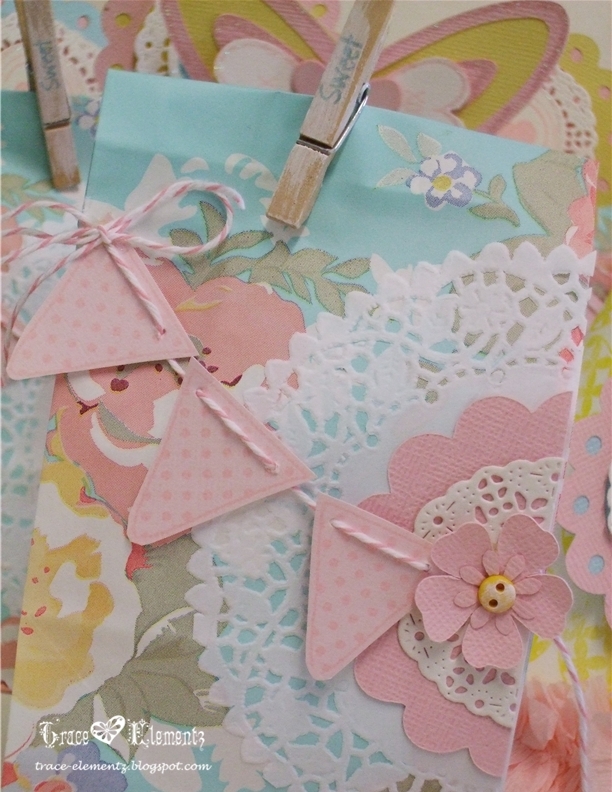 'Fun shapes' was used again to make this cute little banner for the sweet bags. 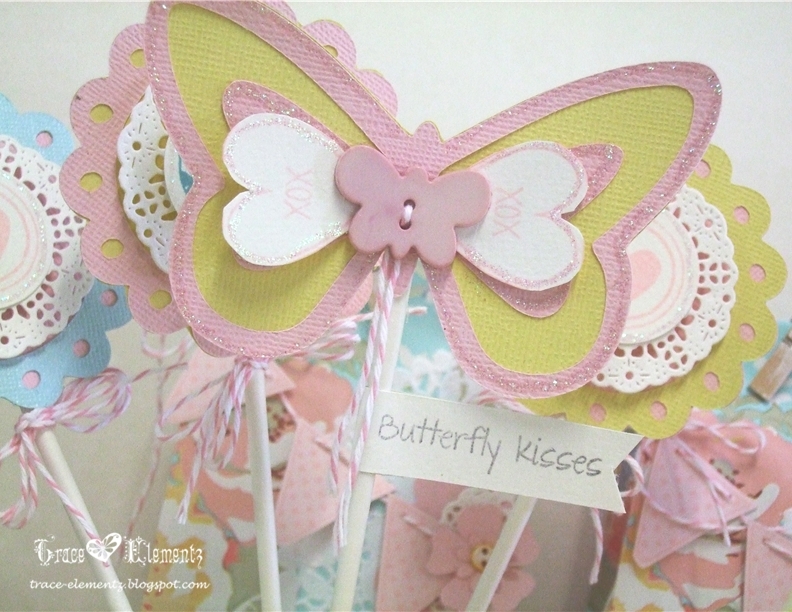 Oh, and I stamped Sweet on the peg. I'm ready to PARTY.........Now, all I have to do is bake the cup cakes! Debbie will be giving away the ENTIRE AUGUST RELEASE to one lucky person in August -- there will be five sets released = $50 retail value! Comment on any August blog post - let us know you follow our blog and Fan Page. The Blog Hop will run over three days.......2nd, 3rd, 4th of August, here is a list of todays line up. Don't forget to let Debbie no you have done all of the above................ Wow so many fabulous party ideas from all these very creative ladies! 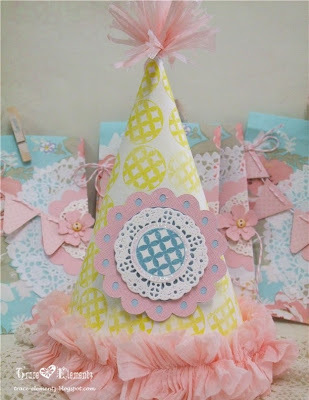 Moxie Fab World has a Birthday party Ensemble challenge .......I'm linking up! yummy, I will take a cupcake please....the party is under way and your decorations are the hit.....sweet party set! Your are all set for a party now. Like everything you created! I'm blown away, Tracey! So fabulous!!!! I especially love the party hat!!! Oh my...so beautiful!! Love all of it! Wow!!! What a party scene! Absolutely lovely colors and SWEET party hat, gift bags, and treat cups!!! Holy moly, you've been a busy crafter. 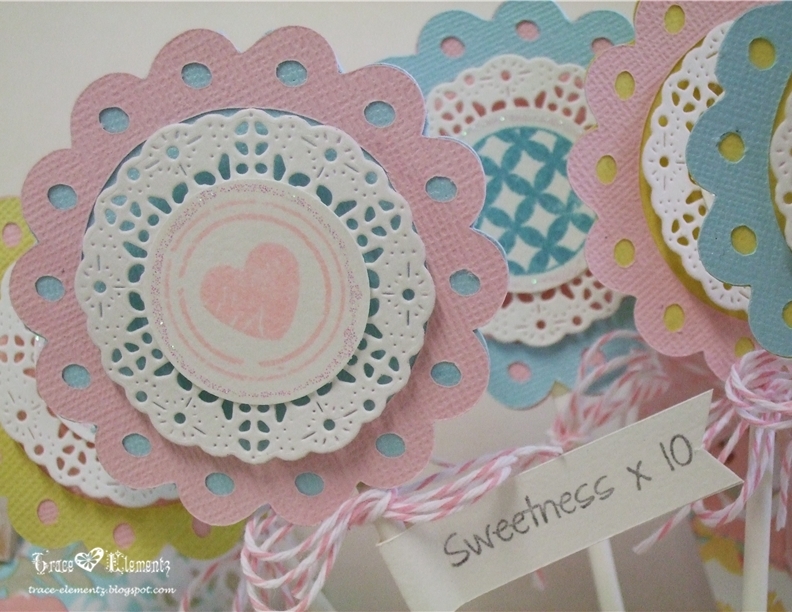 Your Paper Sweeties treats are just darling. What a cute set! Looks great! What a darling party set. 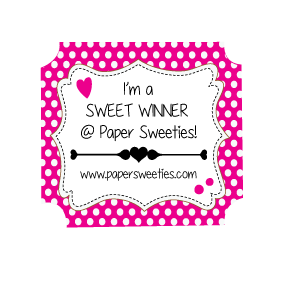 SO many cute elemetns of Paper Sweeties Sweetness. Darling! These look wonderful Tracey, such soft colors and so pretty!! Like the soft pastel look to all of this. WOWZERS...this is so creative and awesome! 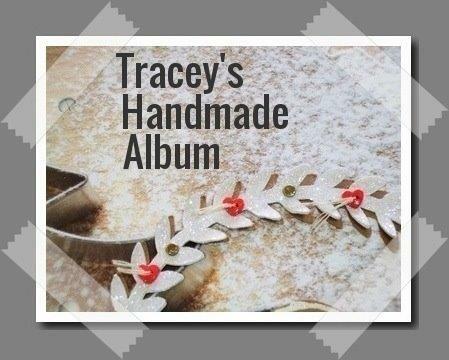 Oh, so sweet, Tracey! Gosh, I just adore how you've used these stamps in such nontraditional ways! Yummy! And your soft palette is perfectly delish! WOWZA! This is so fun! I just love that party hat.